I read this article and found it very interesting, thought it might be something for you. The article is called These North American towns look just like European villages and is located at https://www.cheaptickets.com/blog/2016/07/american-towns-like-european-villages/. Been fantasizing about a European getaway? Daydreaming about walking cobbled streets with gelato in-hand? You don’t need to smash your piggy bank—these closer-to-home North American destinations look like quaint European villages. Another bonus: no 14-hour flight across the ocean required. You could go to Germany…or you could take a quick day-trip to Leavenworth from Seattle. This adorable town, which is surrounded by mountains, looks exactly like a Bavarian village, down to the half-timbered houses and the hanging pretzel shop signs. From sausage stands and beer gardens to the wooden handicraft stores and Oktoberfest celebrations, Leavenworth is your ticket to Europe in America—complete with a scenic, rushing river and lederhosen-clad men playing the tuba in the streets. Stay at the picturesque Blackbird Lodge in Downtown Leavenworth and send perfect alpine ski lodge-style photographs to everyone you know. Founded by Dutch Americans, Holland, MI is, well…exactly what it sounds like. This quaint town near the shores of Lake Michigan boasts its own annual Tulip Time Festival and has a big tulip farm you can visit called Veldheer Tulip Gardens. There’s also a traditional Dutch village and De Zwaan, a 250-year-old original Dutch windmill, as well as a cute, old-fashioned downtown with shopping and a brewery. Oh, and Holland State Park has a beach. A stay at CityFlatsHotel will put you close to Macatawa River, and you can rent bikes at from the front desk. Forget visiting—should we just move to Holland? This World Heritage Site is more than pretty—Guanajuato is unabashedly romantic. Walk through this Mexican city’s beautifully preserved colonial center on narrow, cobblestone streets, and you’ll feel like you’re strolling through Spain. Shaded plazas, 16th-century architecture, and hidden stairways delight visitors, and strains of mariachi music echo in the air. Make sure to check out San Cayetano Church, a testament to this city’s rich silver mining beginning, and lay your head down at Hotel Posada Santa Fe, which has a rooftop terrace and is walking distance to Union Garden, an ornate park. If you’re looking for cute, head to Solvang. This Danish-styled community with a twee downtown walking area is an excellent place to bring kids—not only does it have themed restaurants and thatched-roof buildings, but there’s also Hans Christian Andersen Park, a big public playground and park with a castle arch stretching over its entrance. Danish windmills and a horse-drawn sightseeing carriage complete the visual spell. Stay at the half-timbered Solvang Innand Cottages and you’ll be strolling distance from Hans Christian Andersen Museum. A town with just 2,000 residents, New Glarus certainly sees plenty of visitors, who come each year for its many celebrations, festivals, and all-around European aesthetic. New Glarus was founded in 1845 by Swiss immigrants, and the town is dedicated to promoting its Swiss heritage. Along with unique, Swiss chalet-style architecture, New Glarus offers Old World meat markets, bakeries, folk museums, and even a yodeling group. Visit for the Swiss Volksfest or Oktoberfest and raise a pint at the town’s local brewery. Narrow cobblestone streets? Check. A towering chateau hotel (Chateau Frontenac) on a hillside? Check. How about a breezy riverside promenade and a French-speaking population that’s vaguely disdainful of anyone who doesn’t speak French? Oui! There’s no need to leave North America to feel confused when reading a menu—Quebec City is beautiful, overtly European, and closer than you think. Visit the Old Quebec neighborhood to see the only remaining fortified city walls in North America and browse among the boutiques and cafes set out for visitors to discover. I read this article and found it very interesting, thought it might be something for you. The article is called 5 cheap European destinations and is located at https://www.cheaptickets.com/blog/2015/08/5-cheap-european-destinations/. 2015 is definitely THE year to travel. While the strength of the U.S. dollar increases, you’re literally getting more bang for your buck. The Euro is down and that means all of your European expenses subsequently are too! Things thattake up a majority of your traveling expenses such as transportation, accommodation, and food will all be less than it was last year. The exchange rate is in your favor, America. Now that you’ve picked a date, and you’re all set for your first European getaway, I’ve compiled a list of the cheapest destinations that I’ve experienced while gallivanting through this amazing continent. While there are plenty more suitable candidates, these are the ones I enjoyed the most. This gorgeous coastal city on the French Riviera is not only a €4 train ride away from Monaco (which hello, who doesn’t want to go there for a quick day trip to drool over things you can’t afford and breathe the same oxygen as the affluent), but it’s also incredibly scenic. From the hilltop views, to the promenade, your camera will be in Heaven. With the varied cuisine, you can easily eat well for under €10 a meal. The view of the Promenade from Castle Hill! Granada is one of the few cities where you get free tapas with your drinks! I’ll say that again — FREE TAPAS! Quick reminder, tapas are mini portions of food to satisfy temporary cravings. We call them appetizers in America. These tapas can range from plates of rice, to croquettes, to a large meatball, and other variations of Spanish-influenced foods. So your beer, which is already €1 on average, now comes with a plate of rice. So for the whopping price of €2, you could have two drinks and two plates of food. There are some places who even increase the portion and amount of food with every drink you purchase. Seriously Granada, you’re a walking dream for a budgeter’s heart. Get over here and let me love you. Enjoying my large meatball and bread! Despite what the news outlets want you to think about the whole situation with Greece’s debt and failing economy, think about it, they need tourism now more than ever! So please don’t let the media scare you into thinking you should avoid Greece by any means! Athens, despite its graffiti-filled alleys and streets, is still one of the most historically-beautiful cities the European continent has to offer, and if you’re looking for ways to support their economy, then come and spend your dollars here! As many banks are temporarily out of business, just be sure to have enough cash on you to last you through your time there. That being said, always stay alert for pickpockets! You can read more tips about that in general here. P.S. Gyros will be your best friend. Standing atop of Acropolis Hill after having a glass of wine or 5. Lisbon just might be my favorite city in Europe. I’m in denial because my heart belongs to Barcelona, where I lived for an entire year. But Lisbon truly has it all. The food, museums, and free open air festivals make it such an attractive city for your wallet. There are also gorgeous baths, markets, and parks to really experience an authentic atmosphere. The people are super friendly and even though you won’t know a lick of Portuguese, your eyes won’t have any problems reading all the prices under €5 that you’ll see on the menu. Barcelona, Barthelona. Oh how you have my heart. Barcelona is a top destination for Erasmus students, gap years, vacationers, and everyone else in between because of its wide variety of everything from affordable living to free Wi-Fi in most public parks and streets. Barcelona does a great job of looking out for its tourists. After all, they do make up a large percentage of their economy, so they find ways to accommodate and cater to their needs. While this may include street vendors selling you €1 cans of beer to casually drink on the metro before arriving to the local bodega or free concerts in parks, you can always count on a city like Barcelona to make an extremely fun, affordable, and unforgettable getaway when crossing the Atlantic. Every day feels like a walk through a museum as you take in the gorgeous scenery from the architectural genius of Antoni Gaudí, whether at La Sagrada Familia or strolling through Park Guell. Barcelona is simply NOT to be missed! The view from the top of Montjuïc! I read this article and found it very interesting, thought it might be something for you. The article is called Cheap tickets: Save an extra 10% on shows, theme parks and is located at https://www.cheaptickets.com/blog/2009/02/cheap-tickets-save-an-extra-10-on-shows-theme-parks/. You've booked a cheap flight and cheap hotel. Now, what could make your vacation even better? 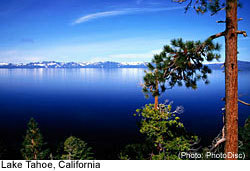 How about cheap tickets for shows, sporting events and other activities at your destination. 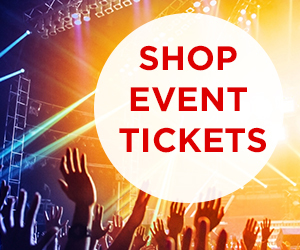 Now you can get an extra 10% off the event of your choice when you purchase from CheapTickets. Just use the promo code 10OFF when you check out. 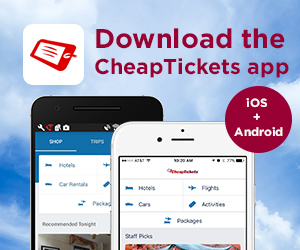 CheapTickets has tickets for concerts, theme parks and everything in between — one-stop shopping for your vacation entertainment. If you're looking for concerts, you can find tickets for Britney Spears, Elton John and Bruce Springsteen, plus avariety of artists in jazz, hip-hop and country music. For family vacations, find cheap tickets to Universal Orlando, Disneyland and Disney World — even multi-attraction passes to help you see more of your destination for less. 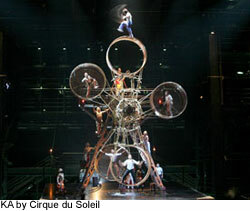 Vegas is known for high-quality entertainment, and cheap tickets for events in Sin City also are available. So hear Cher, see Cirque du Soleil or Blue Man Group — all for an extra 10% off. The 10% off promotion may be used just once for each purchase and is valid through March 31. So go ahead — add something special to your vacation with cheap tickets to an NBA game, Broadway show or other local attraction. I read this article and found it very interesting, thought it might be something for you. The article is called Cheap vacations: Best bets for February travel and is located at https://www.cheaptickets.com/blog/2009/01/cheap-vacations-best-bets-for-february-travel/. 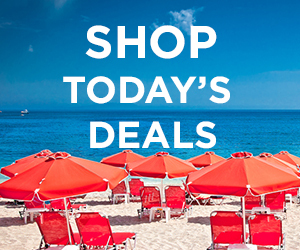 Save big this February with astounding deals on cheap vacations. According to CheapTickets’ 2009 Value Travel Forecast, February is the best month to explore Italy, France and Colorado Springs, Colorado. With hotel savings of up to 42% compared to peak rates (based on analysis of hotels booked on CheapTickets from December 2007 to November 2008), February is the perfect time for a romantic Valentine’s Day getaway to Europe, or simply an end-of-winter excursion to the Rockies. 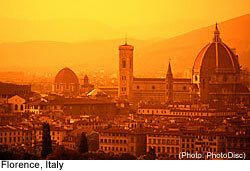 The CheapTickets’ 2009 Value Travel Forecast has named Italy as the best travel value this February, with savings of up to 42% on Italy hotels. 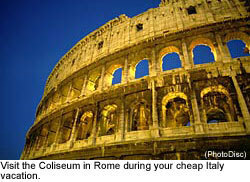 to explore ruins in Rome, art in Florence, or take in the scenic countryside, you can have a cheap Italy vacation for less than you would imagine. more. Whether you are looking to ski the Alps, sun yourself on the southern coast, or take in the urban ambiance of Paris, France has something for everyone. And when you travel to France in February, you can save up to 35% on your hotel. Overlooking beautiful Pikes Peak and couple hours from some of the best skiing in the country, Colorado Springs is a truly unique place to spend your cheap vacation. Located at the edge of the Rockies, Colorado Springs embodies the spirit of the mountains while being firmly grounded in the culture of the plains. Experience the juxtaposition by traveling to Olympic Training Center located close to downtown Colorado Springs, and then heading across town to the Garden of the Gods, home to some of the most beautiful hiking in the area. With savingsof up to 29% on cheap Colorado Springs hotels, February is the best time to take advantage of all this mountain town has to offer. I read this article and found it very interesting, thought it might be something for you. The article is called Travel tips: Five ways to get cheap Broadway tickets and is located at https://www.cheaptickets.com/blog/2008/10/travel-tips-five-ways-to-get-cheap-broadway-tickets/. With orchestra seats going for $300 (more than the cost of some New York hotels) even half-price TKTS tickets seem outrageous. It’s time to get drastic. These are the tried-and-true tested techniques real New Yorkers use to get the goods for far less. Several shows, for example Wicked, offer great unsold orchestra seats at a steep discount (under $30/per person) to 20 or 30 lottery winners. Each winner is entitled to two tickets. Be there at least two or three hours before the performance. Usually no more than 100 people line up so the odds are with you. Or at least better than getting hit by lightening. If you absolutely, positively need to see the show, have a back-up plan. Some shows will sell the remaining seats to either students or the general public at deep discounts ( about $20) an hour or so before the performance. Get to the box office VERY EARLY (at least 2 hours in advance) and expect lines. Most of the seats will be in the less desirable areas, but occasionally you get lucky and hit a nice orchestra seat. DO NOT EXPECT TO SIT TOGETHER in a good section. Most of these seats will be singles unless they are in the upper tiers or with a blocked view. Even if you only plan a New York vacation once a year, becoming a member of free or steeply discounted ticket brokers is well worth the price — if you are flexible. TDF.org, AudienceExtras.com, BroadwayBox.com, and Goldstar all offer members free last-minute tickets to both major and minor shows, and discounted tickets to future shows. For example, a membership to Audience Extras is $99/year and entitles you to two tickets per performance free ($4 service charge per ticket). In the past, I have gotten tickets to both excellent, popular shows and really terrible one-person shows. This week they are offering "To Be or Not To Be" (Broadway), Dolly Parton in concert, Branford Marsalis, and "The Tempest" with Broadway actor Mandy Patinkin. The good tickets go fast. Sign up to get the e-mail notification when a show is available and pounce on it. If you can’t go to a show, don’t get the tickets. They are doing these freebies to fill up the audience. If you don’t show up, you may lose your privileges and hurt others: if the theater gets too many no-shows it pulls the offer from these sites. One of the main reasons New York vacations are so popular with families is because of the unprecedented affordable cultural opportunities the city offers young people. If you have a teenager or college student, especially one who attends a local NYC college, or a friend whose child you could borrow for a few hours, there are some remarkable discounts to be had out there. First, try High Five Tickets. Anyone accompanied by a teen (13-18) from anywhere in the world can get two tickets for $5 a piece — one for the teen, one for the adult. Currently there are over 80 shows available including the Broadway show "39 Steps." Oh and as a nice bonus, High Five also gives museum entry for $5 for two to most of the major NY museums. (Again, the person picking up the tickets must have a valid student ID but can be accompanied by one adult.) Extra Bonus: There are no booking fees or service fees. Who-ho! Next, do the student rush if the regular rush is not available. Visit School Tix to see most family-friendly Broadway shows for about half price. Go to the "Shows Available" page and click on the icon for the show you want to find the coupon code offering the discount and book the tickets. Finally, if your young friend goes to Columbia University, NYU or one of the other major schools in New York, get them to use their university Internet connection to get tickets. Many have sites accessible only to people with school IDs and logins that provide tremendous discounts to theater — and free entry to local museums as an added bonus. For every one big Broadway blockbuster, there are a hundred theater companies providing a more intimate and unique experience — a much better value for your dollar in this current economic climate. Going to see a show at places like the Public Theater, Cherry Lane, Playwrights Horizons and Manhattan Theater Club rewards with brand-name bankable stars, a more intimate experience and extensive set design, without the high ticket price. If you still want more tips, visit the ne plus ultra ultimate guide to cheap theater tickets and up-to-the-minute info: The Frugal Theater Goer’s Guide to Discount Tickets. 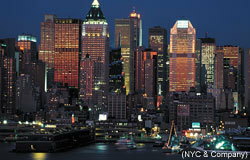 Oh, and next year, book one of your favorite New York hotels for mid-October when Free Night of Theater Day is held. This organization gives away 8,000 tickets to performances across the city. For more information about discounted theater tickets, visit Playbill. Samantha Chapnick is a New York writer who scours international destinations looking for what hasn’t been found. I read this article and found it very interesting, thought it might be something for you. 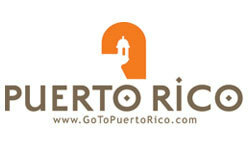 The article is called Puerto Rico hotels on sale and is located at https://www.cheaptickets.com/blog/2008/10/puerto-rico-hotels-on-sale/. 50% off San Miguel Plaza : For a limited time only, San Miguel Plaza, located in Bayamon, Puerto Rico, is offering 50% off hotel rooms. A short drive from the beach and across the street from prime shopping, San Miguel Plaza is the perfect place to experience true Puerto Rico culture and cuisine. 20% off Courtyard by Marriott Isla Verde : If your idea of a relaxing vacation involves lounging in a hammock under lush palm trees while sipping a beverage out of a pineapple, look no further than Courtyard by Marriott Isla Verde in San Juan. Tropical travel can be cheap when you take advantage of 20% off your stay at this hotel. 30% off vacation packages at Gran Melia Puerto Rico : Get luxury for less! Enjoy Gran Melia Puerto Rico’s sprawling estate and vacation like never before. 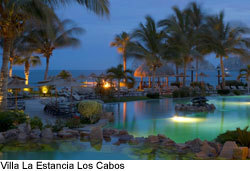 With expansive pools, top-notch restaurants and an on-site spa, you may never want to leave. With 30% off vacation packages, there isn’t a better time to try this luxurious resort. Your Caribbean vacation doesn’t have to break the bank. With CheapTickets’ fall travel deals, you can book one of these cheap hotels and enjoy a great Puerto Rico vacation. Many of these cheap hotel deals expire in November, so book today. Kate Schwartz is a marketing coordinator for CheapTickets. When she’s not searching for the best travel deals, she’s out taking advantage of them! From hiking the Rockies to lounging on the beaches of Barcelona, Kate is always looking for adventure.